Fertility Salad- a Superfood Salad to boost chances of conception! It’s true! Having a large green salad can really help you get your needed leafy green and nutrient intake that you need for fertility! In the summer almost every dinner I have is a large green salad. I have fun with the toppings- customizing with whatever fertility superfoods I feel like for the day! There are some rules for making your Fertility Salad! It drives me crazy when I see a “fertility coach” or a “fertility website” post something that breaks these. Here’s the deal- if you are under 30 and have been trying to conceive for less than a year, you don’t have to follow these rules. But if you have been trying for over a year, have any fertility related diagnoses (PCOS, endometriosis, High FSH, Anovulatory disorder, etc. ), you NEED to follow these rules! 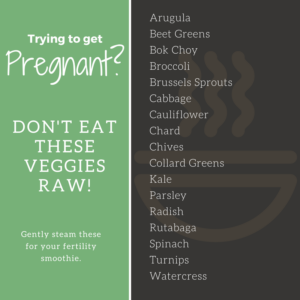 One thing you need to remember when trying to conceive, is you really shouldn’t be eating most green veggies raw. I know, I know, you think I’m crazy. The other fertility websites say its okay. Well, they are wrong. Most of these raw leafy greens are very difficult to digest and you don’t want your body to use up its energy on digestion. 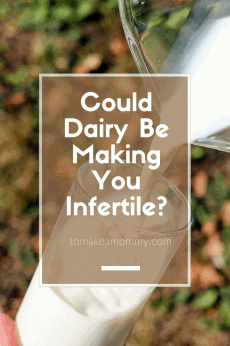 You need your body to focus on making healthy eggs and circulating blood to the uterus. 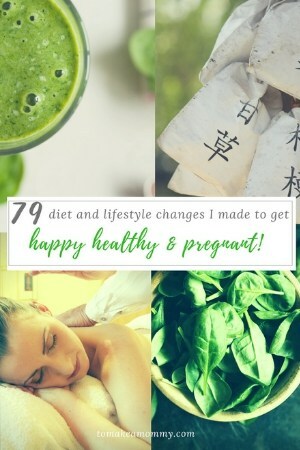 Additionally, while Chinese Medicine (i.e., your acupuncturist) sometimes approves of a few raw veggies in the summer, for many infertility-related conditions such as Cold Uterus, Kidney Yang Deficiency, or any Damp conditions, no raw veggies are recommended (EVER). The one exception is lettuce- and that is why I only recommend using organic lettuces in your fertility salads. You can rotate between romaine, red lettuce, green lettuce, butterhead lettuce, whatever! Due note that iceberg lettuce doesn’t have a lot of the nutrients you need, so only eat that sometimes. This bears repeating. NO RAW SPINACH, KALE, ARUGULA, BOK CHOY, BROCCOLI, PARSLEY, or WATERCRESS in your salads. 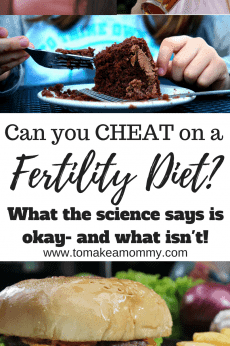 If you are not trying to procreate and are trying to lose weight you may eat them. Only lettuce. Babies are made of protein and fat. You need plenty of both to nourish yourself, make healthy eggs, get pregnant, and sustain a healthy pregnancy. New fertility diet research shows that you should have 35% of your diet be protein to maximize egg and embryo health. You can get protein in lots of ways- chicken, turkey, eggs, steak, shrimp, salmon, black beans, lentils. Whatever your heart desires! I usually do roasted chicken (we make 1 big organic chicken a week for multiple uses), turkey muffins, or fried eggs. As I said earlier, babies are made from protein and fat. You need plenty of healthy fat in your diet, especially since you have cut out all unhealthy fat if you are following a strict fertility diet. Additionally, healthy Omega-3 fats help lower inflammation in the body (very important for endometriosis and repeated miscarriages), increase blood flow to the reproductive organs, and improve cervical mucus. They are also crucial to the healthy development of any little embryos that take root during the two week wait. Don’t skimp on your Omega-3s! 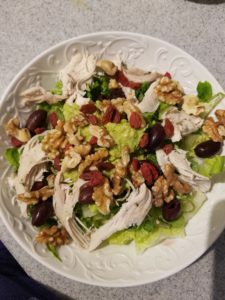 Omega-3 essential fatty acid boosters for your salads: Walnuts, Walnut Oil, Flaxseeds, Chia Seeds, and Extra Virgin Olive Oil. 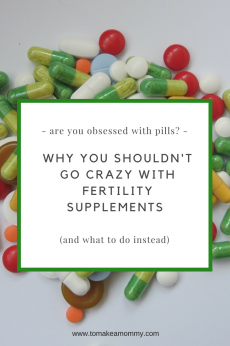 Rule #4: Add some Fertility Superfoods! 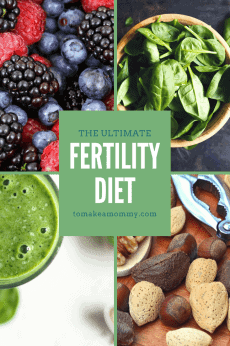 Why waste a chance to add some fertility superfoods to your daily diet? Seaweed- Seaweeds, or sea vegetables, are packed with nutrition that is easily processed by your body. Many types also have protein. Your acupuncturist might recommend seaweed for strengthening your kidneys, liver, or adrenal system- all areas that are key for fertility. Some of the best are dulse, kelp, and kombu. Unfortunately I have a shellfish allergy so I am always worried about cross contamination. I buy kosher-certified sushi nori sheets and cut them up into my salad to make sure I am getting something! Goji berries– Goji berries are antioxidents and as such help ensure the cells of your eggs are healthy. 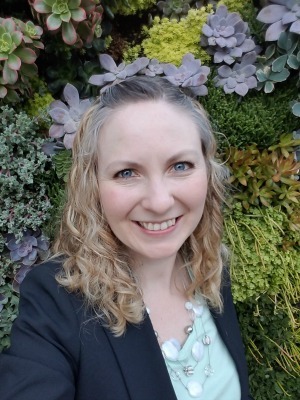 This is especially for anyone with egg health issues, so those over 35, those with high FSH or low AMH, or those who have had multiple early losses. Watch out! Gojis have LOTS of sugar, so only add a small handful to your salad! If you don’t like their texture put them in your smoothie instead. Avocado– I’m sure you know that avocados are THE fertility food. You should eat a whole avocado EVERY DAY! Seriously! Avocados are full of folate (natural folic acid), and full of the healthy monounsaturated fat which helps balance our endocrine system and keep our hormones happy. Also, the Aztecs believed it was an aphrodisiac, so you know, can’t hurt :-). It’s best to buy organic, but you can skimp here if necessary- not a lot of pesticide gets into the skin of the avocado. Olives – Organic olives are also packed with healthy fats, and these happen to be Omega-3s! These fats help keep your hormones in balance and lower inflammation. Organic olives can be expensive- but lots of pesticide residue remains on conventional olives. Nuts– High in protein, vitamins, and healthy fats– help yourself! Now, my salads can get pretty complicated, but they can also be simple, depending on my mood. Dress your salad up however feels good to you! Sprinkling of seeds based on where you are in your cycle- Pumpkin for pre-ovulatory, sesame or sunflower for luteal phase. 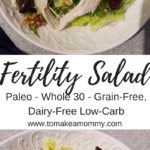 A healthy fertility boosting salad that can be modified with superfoods to meet your needs! Prep in a bowl and enjoy! 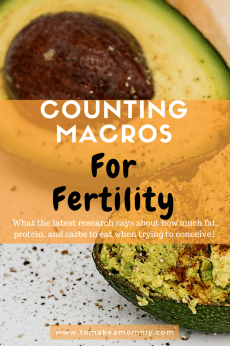 « Tracking Macros for Fertility: More Fat and Protein, less Carbs for TTC!